Adrenaline junkies, listen up! Wicked Bucks has something for you. Cue your inner stealth mode and test your aim and courage, because Paintballing in Cairns in calling your name. We could try to spin this as a “friendly” laugh with your buddies, but we know what the lads are like when it comes to competition. May the best man win. Equal parts fun and painful, Paintballing is some killer action. Situated 25 minutes in land from the Cairns CBD, this field looks like a scene from the end of the world. When you’re all kitted out with a semi-auto paintball marker, full-length camouflage overalls and a padded vest, you’ll feel as badass as James Bond. If you really want to step it up a notch, why not upgrade to 1000 paintballs and a high end tournament grade electronic paintball marker. The only requirement to play is an over 15 age limit, so unless your a child groom, you and the boys are good the go. To celebrate that inevitable win of yours, there is a licenced bar and BBQ on site so you can win down, relax, and laugh at your uncoordinated, now very colourful pals. Take a shot because this will be a day to remember. Every guy loves some fast paced action and adrenaline. When you’re running through the fields, fine tuning your tactics and commando rolling through the shrubs, you might forget that it’s only a game. If you’re like us, you’re probably getting a little sick of your Missus complaining about your “CoD addiction”. 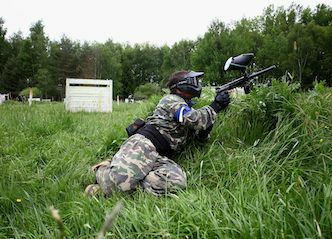 Paintballing combines all the same tactics of your favorite video game but without the PlayStation controller (or the Missus complaining) so it’s even better. As fun as hanging out with all the guys can be, there is such a thing as too much time in each other’s company. 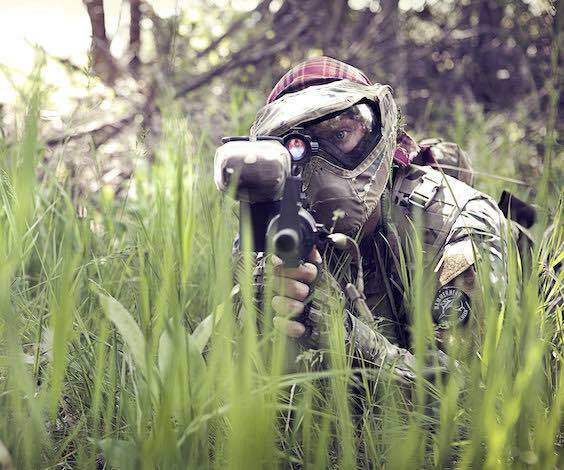 Paintballing is the perfect way to blow off some steam and let it all out, without rubbing anyone the wrong way. With so much adrenaline running through your system, you’ll be primed and ready to hit the town for the ultimate night to follow. Everybody loves a bit of competition. Split the party into groups and send each other head to head. It may distinguish the men from the boys, but it’ll also leave you with a bromance stronger than the cast of The Hangover. Cairns is a thriving holiday hot spot in North Queensland and top of the destination bucket list for tourists around the globe. The tropical city boasts balmy winters, pinch-me-is-this-real beaches, stunning rainforests and a bustling nightlife scene. Home to the wondrous Great Barrier Reef, there are literally thousands of islands, reefs and underwater playgrounds only a hop, skip and a jump away. This destination is also an adrenaline junkie’s dream come true, and offers everything from paintballing and wake boarding to bungy jumping and fish charters. Whatever it is you’re looking for, Wicked Bucks can find it for you in Cairns. We take all the hard work out of planning a Bucks Party so all you need to do is kick back, relax and prepare for a celebration worthy of the history books.